Another classic story in the Jinny and Shantih series. In this one, Shantih becomes inexplicably lame, Jinny is called upon to help the tinker Tam get Keziah out of hospital so that she can die on the moors in peace, and the Red Horse mural is repainted. As is usual, the gorgeous language is what elevates this to something more than just a children's book about horses. I also like that Jinny continues to develop as a character. Here she is exposed to death for the first time, and her perception of it is gracefully handled. 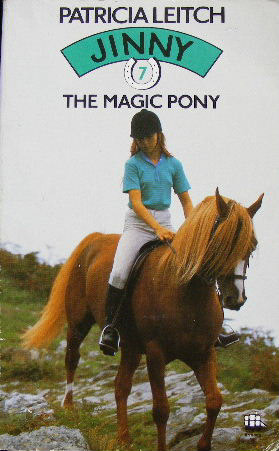 If you have pony mad youngsters, you really must push these books on them. Back to fantasy land in this one with a lame Shantih, a dying tinker woman and Jinny's fight to save Easter, an elderly ex-show pony who is mysteriously linked to Jinny's red hair and also knows Bramble (dear Bramble!) Not one of my faves but a nice read, especially as Easter is a welcome change in some ways from constantly reading about Shantih's light, wisdom and fire.